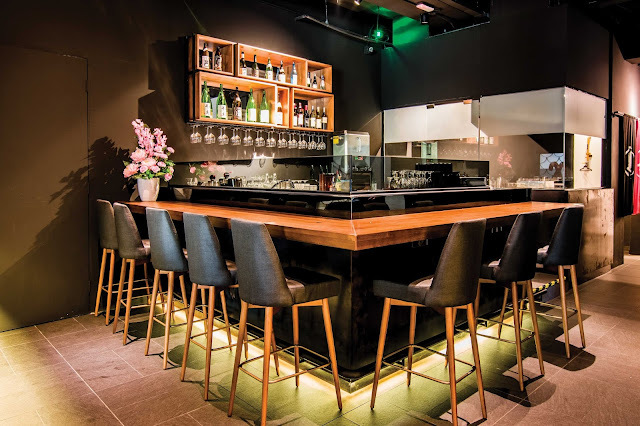 Uroko is quickly gaining a reputation for simply serving up great traditional Japanese cuisine with an innovative flair. Fresh seafood and selected ingredients are flown in regularly from Tokyo for an extensive array of delectable sashimi and sushi. Uroko’s specialties also include the Uroko Salad with its own special blend of dressing, perfectly steamed Chawanmushi that’s silky smooth, pan-fried foie-gras with steamed melon that melts in your mouth and a variety of Makis (sushi rolls) and Temakis (handrolls) that are not only a delight to the taste buds but also a feast for the eyes. In addition, patrons can indulge in a host of tasty Yakitori offerings off the charcoal grill that’s a perfect complement to an impressive list of Japanese beers and sake. 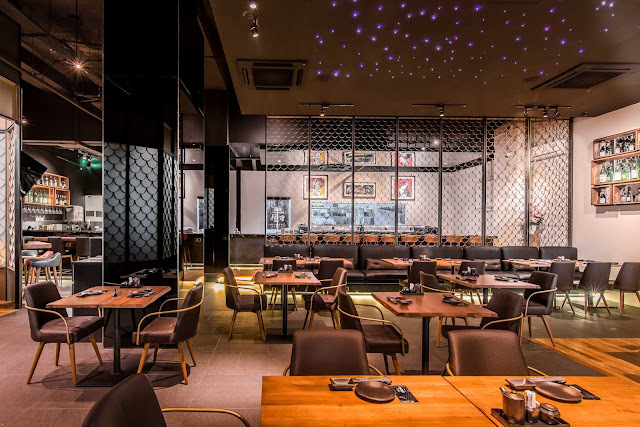 Located in the heartland of Section 17 in PJ, the restaurant has an understated elegance that’s both stylish and cozy. It boasts generous seating spaces that include two private rooms to cater for larger groups. Diners may also prefer to sit along the Sushi Bar to take in the sights of the chefs tenderly plying their craft. And for those more adventurous or who can’t decide on what to pick from the menu, Omakase dining would be the perfect way to go where our head chef will design a full course meal featuring some of his finest creations using in-season ingredients. Uroko is open for lunch and dinner every day. No outside sake, sochu, or beer allowed. However, there's NO corkage fee for wine and hard liquor. We started up with the nice delicious meal where we are pampered with the Tokujyo Sashimi Platter. The platter is filled with the chunky salmon, fresh prawns, tuna and also kampachi on the bed of ice. The sashimi brings you with the melts in the mouth sensation. Have the luxurious uni on top of the silky tofu. This is just superbly good and delicious. The Uni Tofu just melts in the mouth and you can taste the freshness of the uni in it. The Uroko Salad is one of the signature here. Enjoy the softshell crab together with the salmon skin served with the sesame mayo sauce. The crispy fish skin and the softshell crab are well paired leaving you with the crispy bites and the refreshing greenies in it. Enjoy the delicious pan fried foie gras with the white radish. The delicious foie gras is deliciously done with the melts in the mouth sensation. The foie gras remains its juiciness and moist. A warm bowl of chawanmushi is enough to warm my tummy. I am so indulge with the chawanmushi where the egg custard is top with the generous portion of ikura in it. The kimchi nabe is one of my favorites. The nabe is packed with sweetness and spicy hint. Deliciously done. It is well toppe with the generous portion of seafood on top making it even better. Oh my it is just so addictive!